In recent years, unchecked growth has brought us to the brink of economic and environmental collapse. 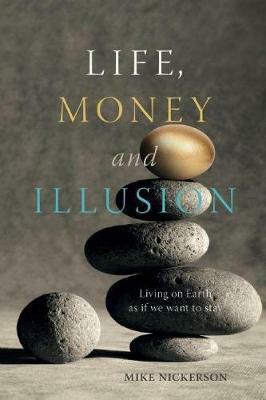 Life, Money & Illusion was inspired by the dilemma of having an economic structure that has to grow to remain healthy, while facing the finite limits of our planet. This revised and updated edition launches a review of economic expansion. It examines how growth came to be a goal and how that goal, though once beneficial, is now the propellant for catastrophe. Then, by showing how the economy can be restructured to remain within planetary limits, it points the way to a sustainable future. Life, Money & Illusion advocates change by shifting the dominant economic paradigm from growth to sustainability. Techniques include: * Measuring progress with social and environmental indicators, along with economic ones * Encouraging investment in community * Practical changes, such as full cost accounting, tax shifting, and monetary reform * Honoring the Golden Rule instead of the Rule of Gold * Focusing more on living than on stuff An engaging and empowering vision of a future that celebrates humanity's extraordinary ability to adapt and evolve, Life, Money & Illusion will appeal to social activists, business people, students, environmentalists, financial planners, economists, parents, grandparents, and anyone else with a stake in the future. Mike Nickerson is an educator and the author of three books on sustainability. He helped draft the Canada Well-Being Measurement Act and lives in Ontario, Canada. Milke Nickerson is a longtime environmental activist, popular educator and the author of three books on sustainability including Bakavi; Change the World I Want to Stay On and Planning for Seven Generations. He is a founding member of The Green Party of Canada and helped draft the Canada Well-Being Measurement Act.